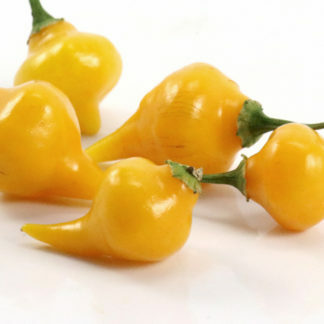 “Airetama Biquinho” appears to be a yellow version of the red Biquinho Iracema (Pimenta Iracema Biquinho), or Little Beak Pepper. I found the commercial packet for this variety advertised with the red version from a vendor in São Paulo. 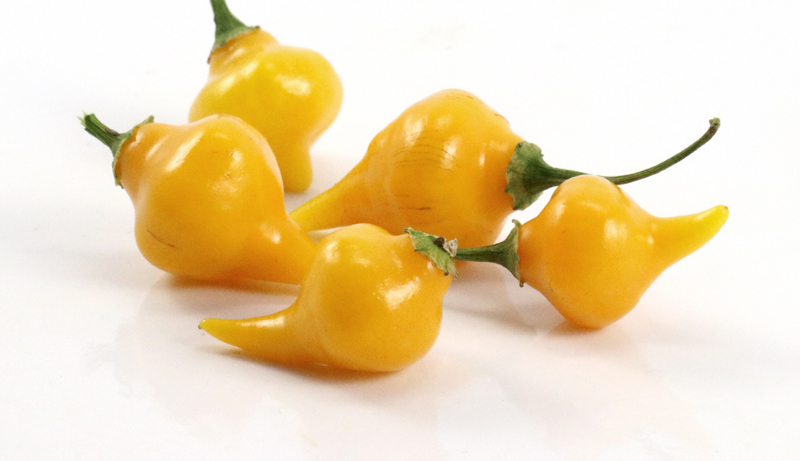 Interestingly, Google Translate gave me a rather risqué translation of “airetama,” which did not seem to fit at all with the concept of a small yellow top-shaped tiny peppers. Looking at the Brazilian descriptions, I found that “airetama” is used to mean “beehive.” That definitely fits what could resemble many fat little bees with pointy bottoms. 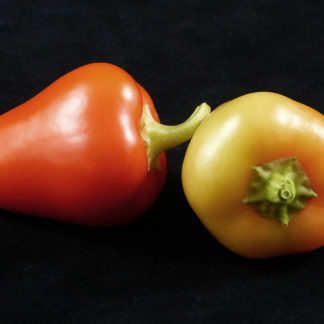 Like the red version, Airetama Biquinho is reportedly from the Brazilian state of Minas Gerais, where they are pickled and served as an appetizer. 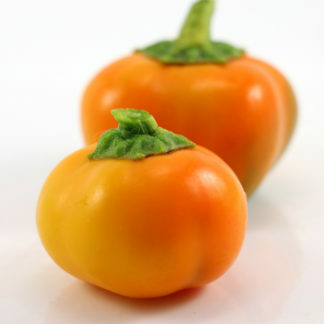 I am still untrusting that this variety has no heat in any of the fruits. It is a C. chinense, and I have found mostly sweet fruits with the occasional spicy bomb. Airetama Biquinho makes a small plant, similar in size to Biquinho Iracema, and could easily be grown in a 5 gallon pot if watered well.